Using the right size of needle and thread for your seed beads is an important part of your beading projects. Since seed beads come in many different sizes and shapes, using the right size needle and thread can make your project easier and more enjoyable. A smaller size seed bead will require a smaller size thread and needle to allow for several threads passes through each bead. Larger seed beads can be used with larger needles and thread and will allow for several more thread passes without breaking. As a general rule, the higher the number of the size of the bead, the smaller the bead and bead hole. Similarly, the higher the number of the needle, the thinner the needle is; therefore it will be able to be used with smaller beads. Thread sizes can vary depending on the brand, but a thread like Nymo is sold in sizes ranging from “OO” (thinnest) to “G” (thickest). The most commonly available sizes of Nymo are OO, O, B and D.
In addition to different sized needles, there are many different types of beading needles that have different characteristics such as being more flexible, having a larger eye, etc. Size 15 seed beads are some of the smallest beads available. English beading needles in size 13 and 12 work best with these tiny beads. If you prefer to use milliners needles, use the thinnest needle size you feel comfortable with. Lightweight nylon threads work best with tiny size 15 seed beads. Nymo in sizes O and OO are ideal, as are the lighter weights of C-Lon. Even the thinnest weights of gel-spun threads like Fireline will only allow for one or two thread passes through these tiny beads, so use them for stitches like peyote stitch or brick stitch and avoid them when working stitches like square stitch and right angle weave. Size 11 seed beads are the most commonly available size of seed bead. Size 10 seed beads are slightly larger. 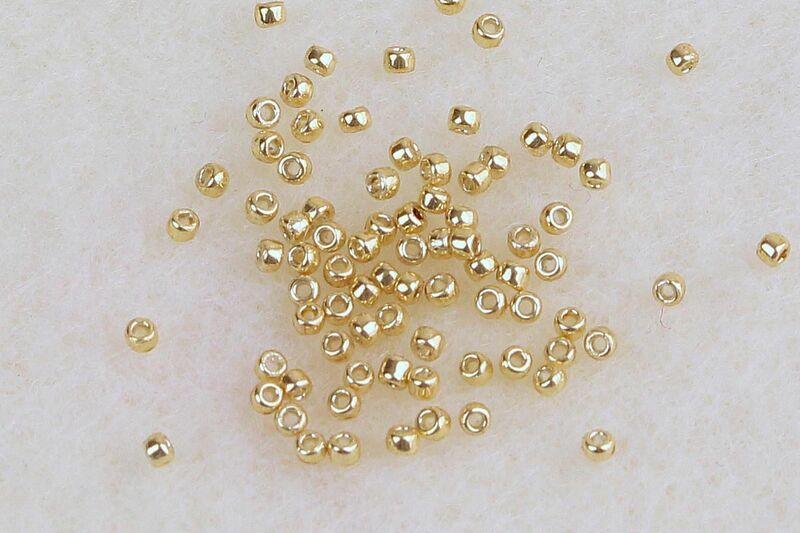 There are many different brands and manufacturers of size 11 beads and the holes on the beads can vary in size considerably. English beading needles in sizes 10 and 12 are the best choices for use with size 11 seed beads. You can also use a size 10 sharps or short beading needle for these beads if you need to maneuver through a tight spot. Bigeye needles and twisted beading needles can also be used, but their slightly larger size won't allow for quite as many thread passes. Nylon beading threads in medium to heavy weights work very well with these beads. Gel-spun or fishing line type threads can also be used with great success. Remember that heavier threads will allow for fewer passes through each bead, so the stitch will ultimately determine whether you should use a smaller beading needle or not. 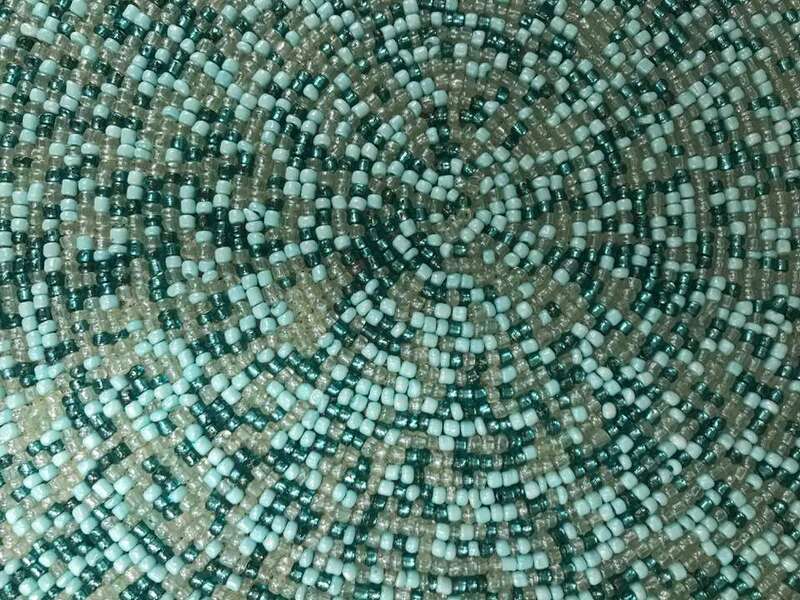 Size 8 seed beads are significantly larger than size 11 seed beads. Size 8 seed beads will easily fit on a size 12 or 10 English beading needle. Twisted beading needles and big eye needles work very well with these larger beads because they allow for several passes through each bead. Heavyweight nylon beading threads work well with these beads. Gel-spun or fishing line type threads also work well with these beads, because their larger holes will allow for several passes through each bead without running the risk of breaking the bead. Size 6 seed beads are very large for seed beads, with large holes to accommodate larger needles and thread. Size 10 needles will work well with these beads, as their larger holes will allow for several thread passes. You can also use twisted beading needles, big eye needles, and the larger sizes of milliners needles. Is Wildfire a Good Beading Thread? Do You Need to Stretch and Wax Nylon Beading Thread? What is the Right Elastic Stretch Cord for Your Bracelet?